I've worked as a children's bookseller, writer and commentator for over twenty years now, and during that time I've been privileged to read over four hundred children's books a year. Every Christmas I do a round up of some of my favourite titles of the year for The Irish Independent. This post is a new version (with extra titles) of that article. And I'd like to thank John Spain at the paper for supporting children's books.I believe that children's books matter. I believe that the right book at the right time can change a child's life. Books help children navigate the world. They engage their imaginations. They help them walk in other children's shoes. The characters children meet in books become friends for ever. By giving a child a book this Christmas, you are giving them a gift for life. I hope this round up helps you find some new books for the children and teenagers in your life. And who knows, you might even enjoy them too! My picture book of the year is The Day the Crayons Quit, written by Drew Daywalt and illustrated by the unstoppable Oliver Jeffers (HarperCollins, £12.99). When Duncan goes to take out his crayons he finds a bundle of letters instead – letters to him from each colour. They are not happy – Orange complains that he is the real colour of the sun, not Yellow; Beige is tired of playing second fiddle to Brown. A clever, inventive story illustrated with charm and wit by Jeffers, with the help of some of his young friends, using all the crayons in the pack. A brilliant book for sharing. 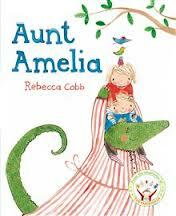 I also loved Aunt Amelia by Rebecca Cobb (Macmillan, £10.99), a charming tale about a very special aunt, with wonderfully expressive mixed media illustrations; and That is Not a Good Idea by Mo Willems (Walker, £11.99) which pits a dastardly fox against a wide-eyed goose and is illustrated in show-stopping cartoon style, with a nod to silent movies. I must also mention the reissue of the much-loved The Sleeping Giant by Marie-Louise Fitzpatrick (Wolfhound, e9.99); and Oscar Wilde’s Stories for Children (O’Brien Press, e14.99) a new edition featuring Charles Robinson’s stunning watercolour and line drawings and beautifully designed by Emma Byrne. Look out too for Chris Judge’s new Beast book, The Brave Beast, a clever tale with wonderful illustrations and design; and The Dark, written by Lemony Snicket and illustrated by the amazing American artist, Jon Klassen. The brilliantly surreal images by a masterful artist make this book something very special. This year has seen the resurgence of illustrated books such as my favourite for younger readers of six plus, Fortunately, the Milk . . . by the amazing Neil Gaiman (Bloomsbury, £10.99). Mum’s away, Dad’s in charge and there’s no milk – so off he goes to find some, stumbling into all kinds of trouble along the way. There are pirates, aliens, volcano gods and all manner of crazy escapades in this hilarious book. The pen and ink illustrations by Chris Riddell are genius, and watch out for Gaiman himself in a cameo role as ‘Dad’. Alex T Smith's Claude on the Slopes (Hodder, £4.99) sees Claude (a dog) and his best friend, Sir Bobblysock on the slopes. When an avalanche-shaped disaster strikes, will Claude save the day? Funny, easy to read text and brilliantly stylish illustrations make this one a real winner. 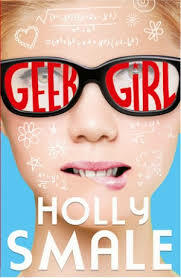 My favourite novel of the year for readers of 11+ has to be Geek Girl by Holly Smale (HarperCollins, £6.99), shortlisted for the Roald Dahl Funny Prize. Harriet Manners is a super smart girl who loves literature and science. When she’s accidentally talent-spotted by a model agency, can she transform herself from geek to chic? A wonderful book about discovering who you are and overcoming bullying, based on the author’s own experiences. I also adored Darcy Burdock by the irrepressible Laura Dockrill (Red Fox, £5.99). Darcy is a girl who sees the ‘extraordinary in the everyday and the wonder in the world.’ She’s a true original and this book is hilarious, anarchic and also brilliant for reading out loud. Readers of nine plus will adore Judi Curtin’s new book, Eva and the Hidden Diary (O’Brien, e7.99), a charming story about Eva Gordon, who is good at solving problems. When she finds an old diary, written by a girl her own age, she and her friend, Kate are determined to fix old wrongs. They will also love Coco Carmel by Cathy Cassidy (Puffin, e12.99), a beautifully crafted story about family hardships and the power of friendship. My favourite YA novel of the year is a tie between The Fault in Our Stars by John Green (Penguin, £7.99) which has already been widely reviewed, and Patrick Ness’ More Than This (Walker, £12.99), one of the most original books I’ve read in years; part science fiction, part exploration of love and family, and so much more. In the opening chapter, Seth drowns and wakes up in the suburban English town where he grew up. As he begins to explore his surroundings, slowly things start to make sense. Wickedly clever, utterly convincing, this book is outstanding, don’t miss it. And look out for John Green’s story in the seasonal collection, Let It Snow (Puffin, 7.99). Back to Blackbrick by Sarah Moore Fitzgerald (Orion, £9.99) is a compelling time shift drama about love and loss featuring Cosmo and his grandad, Kevin who has Alzheimer’s. Published in January, it’s a book that has stayed with me all year. Inspired by Anna Carey’s time as a singer in the band El Diablo, her new book, Rebecca Rocks (O’Brien Press e7.99) is a charming, uplifting story for young teenagers dealing with bullying, friendship and teen sexuality. I also liked Improper Order by Deirdre Sullivan (Little Island, e7.99), a quirky story about Primrose Leary. Sullivan teen voice is pitch perfect. And finally to Russian Roulette by Anthony Horowitz (Walker Books, £14.99) which features a young assassin, Yassen Gregorovich who has been dispatched to kill Alex Rider. If you’ve ever wondered how a killer is created, read Yassen’s story. It’s quite simply one of the best teen spy thrillers I’ve ever read. An action packed novel set in London of the future. A great thriller for teens. A brilliant story about two brothers, Jammy and Sonny. One is a soldier in Afghanistan, one has been left behind. Gritty, smart, moving, it's well worth reading. A thought-provoking, fast moving sci-fi novel for teens.